Those in the culinary field need no introduction to the James Beard Foundation. One of the most recognized awards organizations in the world and commonly known as the Oscars of the culinary world, to win a James Beard honor typically only comes after years of hard work and multiple nominations—and only to the rare few. Renowned Charleston restaurant FIG, co-owned by Chef Mike Lata, recently appointed consulting chef at the Kiawah Island Club’s Beach Club, just claimed the James Beard Foundation’s Outstanding Wine Program title. Chef Lata also holds the 2009 James Beard Foundation title of Best Chef: Southeast, honored for setting culinary standards and serving as an inspiration to other food professionals. Almost as proof, Lata’s protégé, Chef Stanhope, won the Best Chef: Southeast title in 2015. 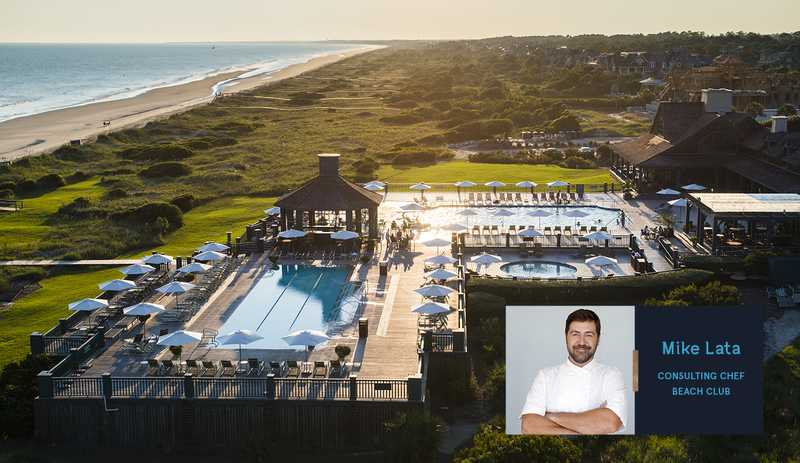 The Kiawah Island Club recently announced a new, best-in-class design and culinary team at The Beach Club’s restaurant. Supplementing the restaurant’s outstanding in-house culinary team will be Chef Lata, renowned restaurant architect David Thompson, and food service design expert Russell Stilwell. Chef Lata is advising on The Beach Club’s restaurant concept, menu, and aesthetic—especially exciting in light of his James Beard honors and the fact that FIG was remodeled in 2016 to stunning effect. We’re eager to see him bring his vision for both food and wine to The Beach Club. When The Beach Club reopens for business following an extensive renovation, Chef Lata will act as its consulting chef and will be intimately involved with all facets of the restaurant.